Efficient market theory leans on the hypothesis that stock markets are informationally effective. Share prices always include and indicate all relevant information. The current price of a stock is a good estimate of its intrinsic value. For example, it seeks to explain how share prices fully and instantaneously adjust to their correct levels following a widely publicized event, such as a takeover announcement. Efficient market theory puts forward the argument that professional investors are incapable of outperforming the market. Individual investors who do outperform the market are not skilled. They are just lucky. Indeed, if every investor believed the market was efficient, then the market would be inefficient. Efficient market theory proposes that investor’s reactions are random and, when faced with new information, some overreact and some under react. Ironically, it is the investment strategies intended to take advantage of inefficiencies that are the means promoting efficient market theory. People buy securities under the assumption that they are worth more than that price that they are paying and that the securities they are selling are worth less than the selling price. However, it is impossible to ever test for market efficiency because no benchmark exists for comparison. So, you would never know if the asset pricing model is wrong or if the market is inefficient. Three forms of the efficient market theory exist: "weak", semi-strong", and "strong". Future prices cannot be predicted by analyzing past prices in the weak form of the efficient market theory. Excess returns cannot be achieved through technical analysis because all past prices of a stock are reflected in today’s stock price. Fundamental analysis or technical analysis will not provide excess returns in the semi-strong form of the efficient market theory. Strong-form efficient market theory argues that no one can create excess returns because share prices reflect all knowledge, public and private (even insider information). The foundation for the hypothesis has been widely disputed by economists. They accuse a belief in efficient market theory as being responsible for the financial crisis of 2007 to 2010. However, others state that the markets were not the cause of the recession. They were a casualty of it. Proponents of the efficient market theory are in competition with behavioural finance economists. Behavioural economists claim that twists in financial markets are caused by stockholder overreaction and bias in thinking and analysis. Stocks with low P/E ratios outperform other stocks. Dividend cuts/rises may only affect long-term stock prices. Returns reverse over longer investment periods. Speculative economic bubbles cause stock price rises with investor exhilaration. Investors like Warren Buffett consistently beat the market. The January Effect pattern shows higher returns in the first month of the year. 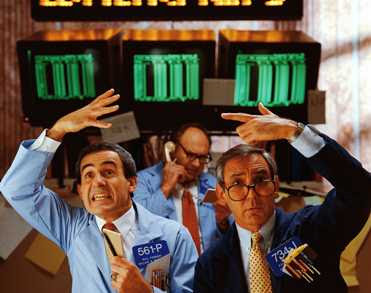 Blue Monday on Wall Street discourages buying because of the weekend effect. I’ve spent many years using fundamental analysis, technical analysis and studying efficient market theory. It’s interesting to note that all financial institutions use a combination of both fundamental analysis and technical analysis.